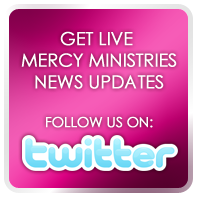 Mercy Ministries News: Nancy Alcorn Speaks in Michigan, United Kingdom, Oklahoma, and Dubai!!! Nancy Alcorn Speaks in Michigan, United Kingdom, Oklahoma, and Dubai!!! For Mercy Ministries Founder and President, Nancy Alcorn, the past few weeks have been filled with much traveling, speaking, and sharing the heart and vision of Mercy Ministries all over the world. Nancy’s first stop was Valley Family Church in Kalamazoo, Michigan with Pastors Jeff and Beth Jones, where she spoke at all four of their weekend services. Pastors Jeff and Beth asked Nancy to share the heart and vision of Mercy Ministries to their congregation since it was her first time there. She was also able to encourage the church to reach out and meet the needs of people in their own local community, since the pastors are making that their number one focus for a season of time. One of the highlights of Nancy’s trip was getting to reconnect with Beth, a Mercy Ministries’ graduate from years ago. Beth shared her own personal story during each service about how she found freedom from an eating disorder while at Mercy Ministries. Beth is now happily married, and she and her husband are actively involved at Valley Family Church. There is no greater joy for Nancy and the Mercy staff than to see our former residents go on to live flourishing lives and give back to their churches and communities! A special thanks to Pastors Jeff and Beth Jones for the opportunity to share Mercy with your congregation and for your monthly partnership! For more information about this awesome church, please visit their website at www.kvfc.org. Next, Nancy was scheduled to be a keynote speaker at Nancy Pankratz’s annual Girlfriends Conference, hosted by Church of the Harvest in Oklahoma City. The lives of many women were touched during the three-day conference of great teaching and anointed praise and worship. Nancy was also asked to speak to a special ministry there called ‘Rescue the Girls’. This ministry offers life skills and spiritual training for women in crisis, hardship, or life transitional situations by providing mentors to help them through difficult times, and to also give them spiritual guidance. Nancy loved being able to spend time encouraging the women from ‘Rescue the Girls’ and even donated some of Mercy Ministries’ books and resources to help further the program and reach out to the girls of Oklahoma City. For more information about Girlfriends Conference or Church of the Harvest, check out their website at www.harvestokc.com. Nabi and Angela Saleh, who own all the Gloria Jean’s Coffee stores around the globe, hosted their International Convention with franchisees from all over the world, which they do every other year. Gloria Jean’s Coffees’ partnership with Mercy Ministries originally began in Australia, but now they sponsor Mercy on an international level. It was an honor for Nancy to be invited to speak alongside Pastor Brian Houston from Hillsong Church and John Maxwell, leadership expert, author, and speaker. For more information about Gloria Jean’s Coffees, visit their website at www.gloriajeans.com. We are very proud to have Gloria Jean’s as our first international corporate sponsor!! Nancy’s next trip took her to the United Kingdom to be a part the Cherish Women’s Conference hosted by Charlotte Scanlon-Gambill of Abundant Life Church in Bradford, England. Featured speakers were Helen Burns, pastor and author from Vancouver, Canada, and Lisa Bevere, author and speaker from Colorado Springs. Nancy was also asked to share during the conference about the work of Mercy Ministries in the UK. In an overwhelming response, Mercy Ministries UK added 60 new monthly partners who are excited about being a part of transforming the lives of young women! Nancy was also able to see and spend time with the girls from Mercy Ministries UK home. For more information about the Cherish Women’s Conference, please visit their website at www.alm.org.uk.